It’s a well-known fact that no other city in the world parties like Las Vegas. This is what makes the city a perfect location to celebrate your birthday, and pretty much anything else for that matter. If you are planning on making the Entertainment Capital of the World the location of your next birthday—or any other celebration—here are a few things to consider. As the brains behind the shindig of the year, you will have a lot on your plate. 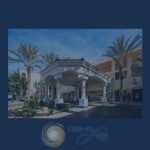 Many Vegas resorts have excellent event planners and concierge professionals on staff who can help you design the perfect Las Vegas stay and party. If you plan on holding your event at a venue outside of your hotel or resort, you may find they can provide many services, such as catering or photography to make your party planning easier. When it comes time to making travel and accommodation plans, give your group the necessary information and allow them book their own reservations rather than footing the bill yourself, which can get expensive and frustrating. Also, be sure to avoid trying to plan every minute of your guests’ stay in Las Vegas. Schedule a few group activities, including the main event, but also give them free time to explore the city. This makes everything easier for you, and more fun for everyone else. From casinos to restaurants to nightclubs, you can easily plan an adult party that will last all day and well into the night. For a daytime celebration, consider the Encore or Daylight beach clubs. For an after dark party, XS Nightclub and Hakkasan Nightclub are two of the most popular spots in town. Of course, there are plenty of non-club venues as well. CelebrityCars, for example, offers 20,000 square feet of event space filled with exotic and classic cars. While you might not think of Las Vegas as a kid-friendly city, there are many venues where your child can celebrate their special day. For the miniature thrill seeker in your life, consider holding their special day at the Adventuredome, America’s largest indoor theme park. Great for younger children, Childs’ Play offers an amazing indoor playground. A party at King Putt includes 18 holes of indoor mini golf and the option to include a magic show. For your next Las Vegas party, keep these tips and suggestions in mind for a celebration everyone is sure to remember.